We are vested in volunteering and helping others within our local community. 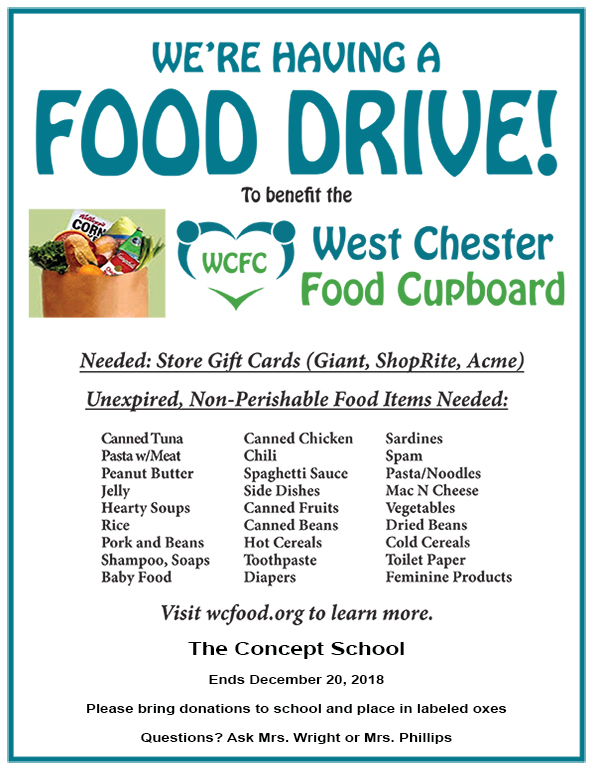 The students and staff have started a food drive that will benefit the West Chester Food Cupboard. All donations no matter the size are welcome! Please consider joining us in this wonderful cause. We are looking for unexpired, non-perishable food items, toiletries, and store gift cards (Giant, ShopRite, and Acme). Contact Mrs. Phillips or Mrs. Wright with questions or more information. Please see attached flier for needed items.